Are you ready to know the biggest secret ever of how to be a perfect mom?!? There you have it, if you want to be a perfect mom, don’t have kids. I don’t know about you, but before I had kids I knew exactly what I was going to do, and how I was going to do it. I was never going to let my kids leave the house not ready. They would never own a pair of light up shoes. They would learn manners and never misbehave. I also planned on never gaining a bazillion pounds when I was pregnant or ever looking frumpy. I could keep going, but I’ll spare you my ideas of perfection. Let’s be real for a minute. I have a few kids who live in track pants and old t-shirts. Most of my kids have owned a pair of those terrible light up shoes, I don’t know why I hate those dumb things, but I do. I do my best to teach my kids manners even though sometimes you can’t tell. And I gained a bazillion pounds with EVERY stinking pregnancy and I have more often than not looked frumpy. The perfect mom doesn’t exist. What does exist is a lot of great moms doing their best. Will you make mistakes? Absolutely! You will lose your cool, say the wrong thing, forget something important, and so on. 2. You will never be the perfect mom, but you are the perfect mom for your kids. These kids are yours because you need to learn and grow from them, and they need your imperfections to help them become the person they’re supposed to come. 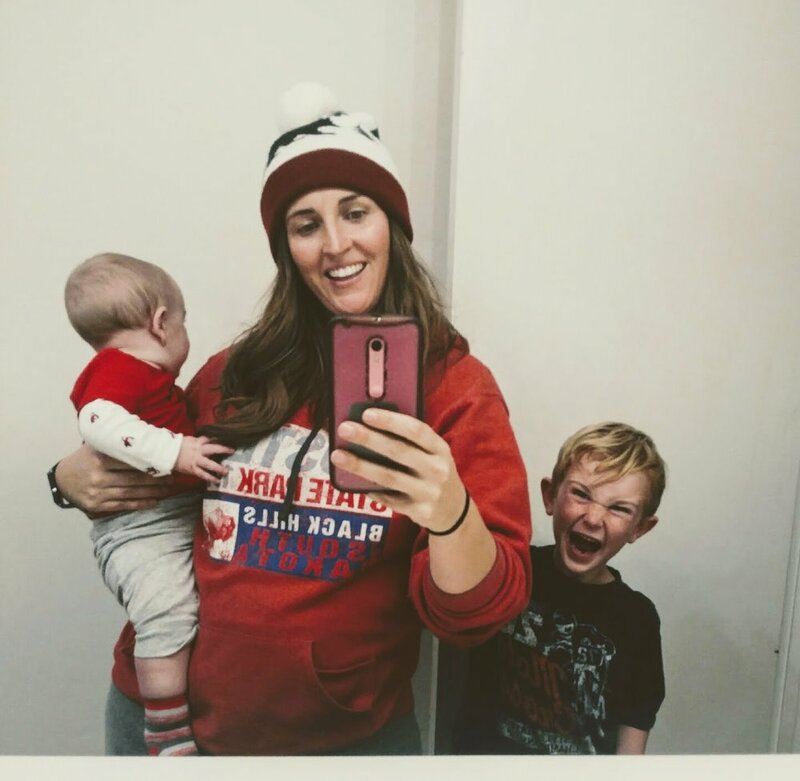 Even though raising kids can often feel like herding cats; I have peace knowing that even with all my many imperfections, I’m the perfect mom for my kids, sweat pants and all. Make sure to never miss a post, subscribe today!